David Beckham Eau de Toilette The Essence is a wonderful masculine scent that is full of adventures and extraordinary moments. Perfume is stored in an elegant flacon that exudes purity and power of the moment. Mužná roughness of the original fragrance reflects the passion for motorcycles and driving fast. An energetic fragrance with a hint of fresh fruit is characterized by attention to detail and fresh elegant tones. The fragrance is suitable for daily wear, but as well will be removed at night or on special occasions. Appreciate it, especially modern men, who are constantly on the move and confess original fragrance. Tickets violets combine their fragrance with warm tones of lavender and grapefruit bittersweet chords. Fresh apple mingle with mysterious notes of cardamom and sweet scent of juicy pineapple. Caressing notes of cashmere wood merge with tonka bean and patchouli. All these ingredients make an interesting cocktail of virility and sensuality, from which women will buckle your knees. Wrap yourself in a unique tone that you will be pleasantly accompany long! Pineapple, Violet, Grapefruit , Apple, Lavender, Patchouli Done! 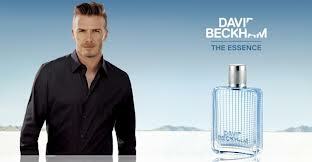 For shipping to other EU countries visit this page DAVID BECKHAM The Essence EdT 75 ml. Für Versand nach Deutschland, besuchen Sie bitte DAVID BECKHAM The Essence EdT 75 ml. Chcete doručit zboží do Česka? Prohlédněte si DAVID BECKHAM The Essence EdT 75 ml. Chcete doručiť tovar na Slovensko? Prezrite si DAVID BECKHAM The Essence EdT 75 ml. Für Versand nach Österreich, besuchen Sie bitte DAVID BECKHAM The Essence EdT 75 ml. Magyarországra történő kiszállításért tekintse meg ezt a termékoldalt: DAVID BECKHAM The Essence EdT 75 ml.